Since weather always impacts hair, you may need some backup in certain climates to maintain your style. Polish uses a blend of oils to lock in moisture, fight frizz and provide a smooth look and soft feel. 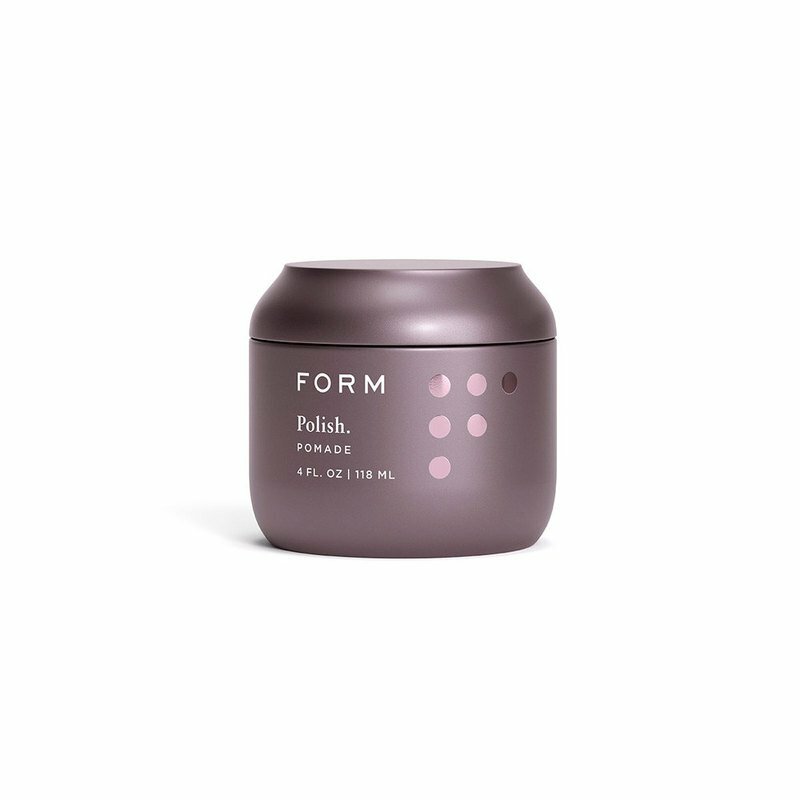 Best for: Hair that needs a little extra support in humid or extremely dry climates. Puts an end to frizz. How it works: A blend of sweet almond oil, coconut oil, shea butter and beeswax prevent protein loss while providing a light, non-greasy barrier between your hair and the world. How to use it: After using your FORM Styler, melt a dime sized amount in your hands. Smooth onto hair. Use more as needed. For protective styles, apply in sections to seal. Apply a small amount to your hands before taking out a style. Sweet almond oil- a lightweight, vitamin-rich oil that helps moisturize and strengthen your hair. Coconut oil- a natural oil that helps prevent the loss of protein and vital moisture from your hair. Shea butter- helps stop dryness by locking in moisture and provides shine without being greasy. Beeswax- creates a protective barrier to help to retain moisture.